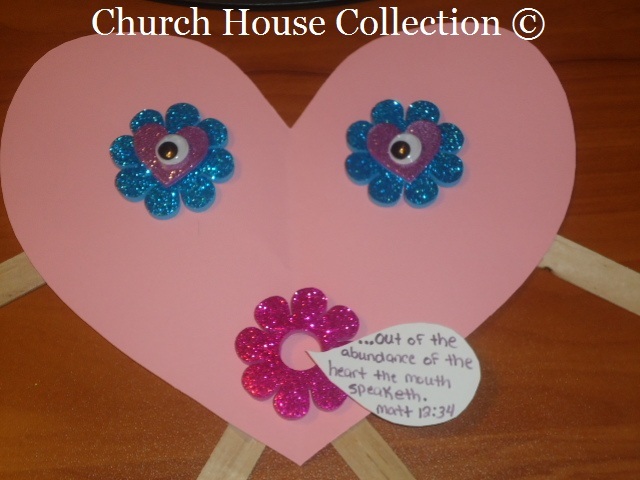 I cut a heart shape out of the pink construction paper. 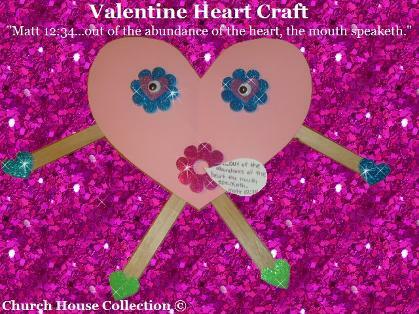 Then I taped on the large popsicle sticks to the paper heart for it's arms and legs. 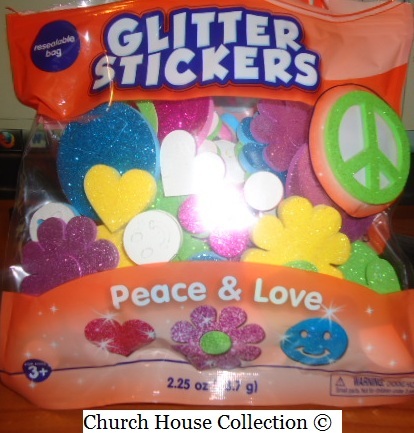 I bought a bag of Glitter Stickers"Peace & Love" from Walmart. 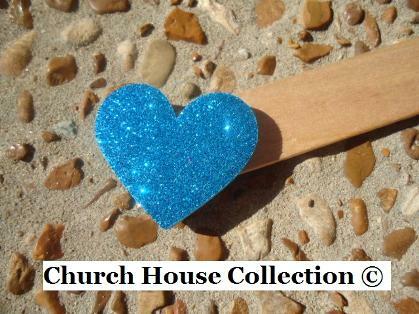 Their website is at www.creativehands.com. You won't be able to buy from them online buy you can search the stores of where they sell them. You might even try amazon . You don't have to use these particular glitter stickers. 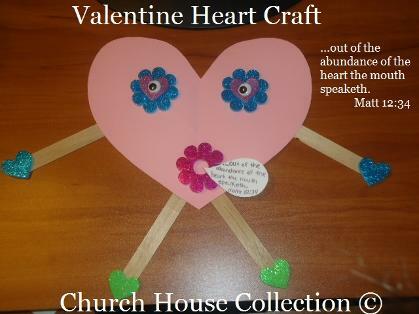 You can use something else or even make your own using paper and glitter. I added some glitter sticker hearts at the ends of the arms and legs. 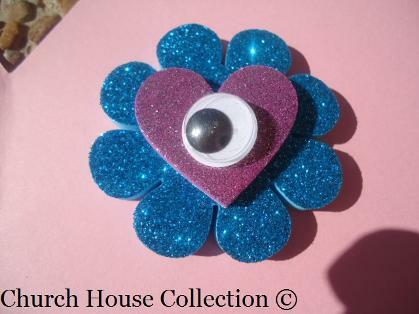 Then for the eyes I used a blue glitter flower and added a pink heart right on top of that and then topped it off with plastic Google eyes. I used tape to stick the eyes on. 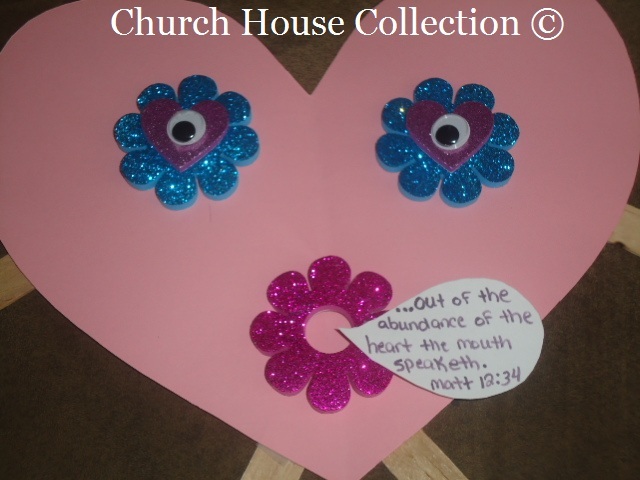 For the mouth I used a flower and just punched the middle out. 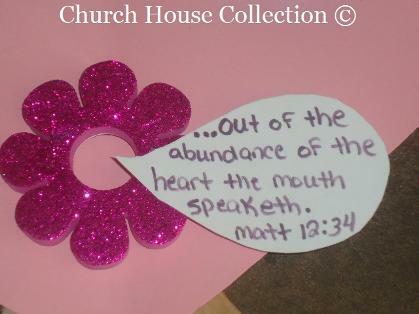 I took some white paper and cut a speech bubble out and I used a pen to write, "...out of the abundance of the heart the mouth speaketh Matt 12:34". I taped the speech bubble to the mouth.